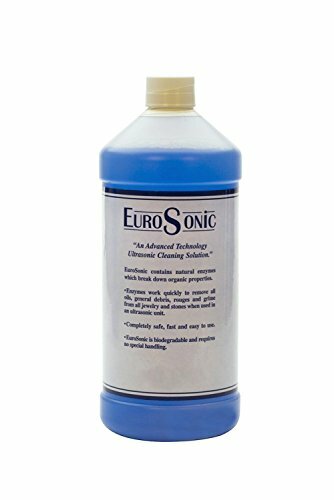 Eurosonic concentrate is an advanced technology, bio-friendly ultrasonic cleaning solution that contains thousands of enzymes which will remove body oils, debris, rouges, and grime accumulations from metals, stones, and other materials. You've seen biodegradable cleaners before which lacks the cleaning power of ammonia. This contains no phenols, ammonia, sulphur, or nitrites and is non-toxic, biodegradable, and requires no hazardous shipping. MSDS approved. Mixes at a 30 to 1 ratio. 1 Quart. Please contact us with any questions. Thanks for looking! View More In Polishing & Buffing. If you have any questions about this product by PMC Supplies LLC, contact us by completing and submitting the form below. If you are looking for a specif part number, please include it with your message.